Here in Southwest Ohio, high temperatures have consistently been in the low-to-mid 90s for the last couple weeks. Temperatures that high mean it’s time to stay inside and crank up the A/C or head to the nearest swimming pool. For the electronic control panels in your facility you’ll want to take a different approach. Traditional refrigerant-based air conditioners for electronic panels can be installed, but they’ll require long installation periods, maintenance and higher purchase prices. Refrigerant-based systems must be constantly monitored to replace filters, clean condensers, and checking the compressors to prevent any failure. As for tossing your control panel into a swimming pool to cool off, well I’ll let you be the judge of why that’s a bad idea 😉. The best solution for keeping your electronics cool is an EXAIR Cabinet Cooler. With nothing more than a supply of compressed air to operate, the Cabinet Cooler installs in minutes through a standard electrical knockout. It has no moving parts to wear out, and when supplied with filtered compressed air the Cabinet Cooler requires absolutely NO maintenance. For higher temperature applications in extreme ambient conditions, we also have High Temperature Cabinet Coolers available. Just last month we hosted a Webinar discussing Cabinet Coolers as the Intelligent Solution for Compressed Air Cooling. If you happened to miss it, you’re not too late!! 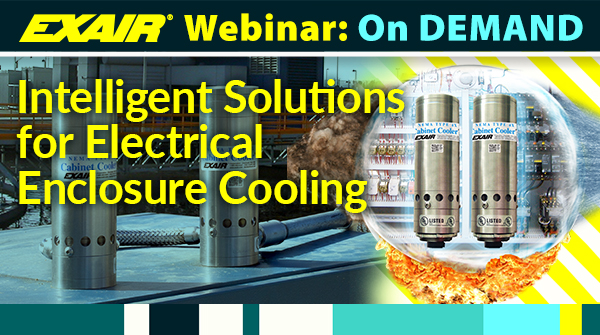 Click here for a replay of the Webinar on the EXAIR website. To which size Cabinet Cooler is right for you, complete the Cabinet Cooler Sizing Guide online. One of the EXAIR Application Engineers will then be able to determine the cooling capacity required based on the conditions of your cabinet. In less than 24 hours, you’ll have a response from us with the recommended model. With all Cabinet Cooler Systems available from stock, you can get one shipped out to you right away! You can submit your data via email or fax, or you can call an EXAIR Application Engineer for immediate assistance. IF you need a faster turn-around than that – call us or chat online and we will get the process started immediately. These products are in stock and ready to ship same day to solve your problem. Don’t wait until it’s too late, EXAIR’s Cabinet Cooler is THE solution for maintaining the temperature inside of your electronic enclosures. What If Your Cabinet Is In An Extremely Hot Area? As the weather starts to warm up we have already started getting calls about customers that are preparing for Summer time by installing Cabinet Cooler Systems on their enclosures. This is not a lengthy process, in fact, we can hold races in the office to see who can do the calculations the fastest. If we have a few simple pieces of information, we can even do the calculations and have a recommendation for the correct Cabinet Cooler System for your cabinet while you are on the phone with us. What kind of information might we need you ask, just take a look at the Cabinet Cooler Sizing Guide below. The only tools you will need are a tape measure and a thermometer. So what happens if your ambient external air temperature is above 125°F? For EXAIR, that is not a problem. We offer a full line of High Temperature Cabinet Cooler Systems. 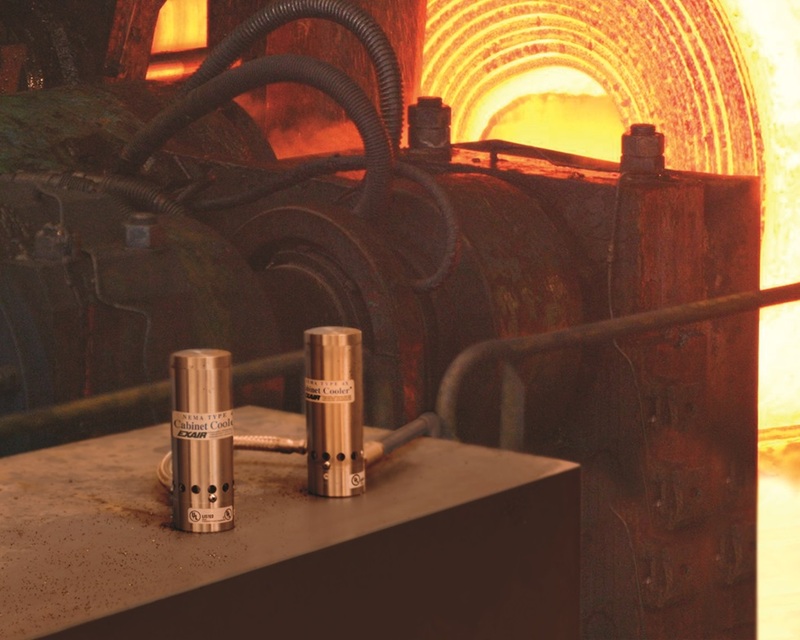 These are ideal for those really hot environments that may be near a furnace, boiler, or other hot process. The best part is, we will know whether this is needed without you even having to ask for it. All we need is the information on the Sizing Guide. Whether your enclosure is in an everyday machine shop, out building with pumps and sensors, or right next to a steel mill, EXAIR will provide the best possible solution to keep the internals safe. Don’t let the summertime heat sneak up on you and cause you problems all you have to do is contact myself, or any one of my team members and we will help as quickly as possible. Sometimes taking customer’s phone calls remind me of an Abbott and Costello bit (but I have to be Costello). Conversations can feel a bit like twenty questions. Instead of opening with mineral, vegetable, or animal, customers call in wanting more information on an “EXAIR”. For our brand manager and marketing department, it is a clear sign that what they are doing is working, but to me can be a bit confusing. Before you start thinking I don’t know my product, please remember an “EXAIR” can be quite few things. 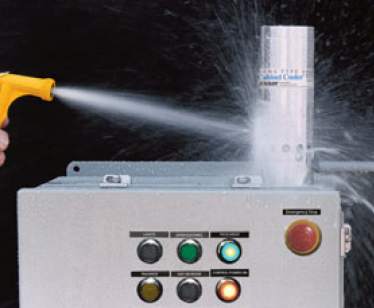 We make the broadest variety of problem solving end-use compressed air products for industry which equates to many possibilities of what an “EXAIR” may be. Is it an Air Nozzle, an Air Knife, an Air Wipe, an Air Amplifier, an Atomizing Spray Nozzle, a Safety Air Gun, a Static Eliminator, a Vacuum Generator, a Line Vac, an Industrial Vacuum, a Vortex Tube, a Cold Gun, or a Cabinet Cooler? Unfortunately, with no moving parts to wear out, our products sometimes will outlast their labels, so the customers don’t have anymore information. Then, I have to ask what the product does. And then I wait for the customer’s detailed and eloquent response…”It works”, they sometimes say. But most of the time they respond with all of the details or enough to determine what product they have. In, in the end, an “EXAIR” is generally a Cabinet Cooler or a Vortex Tube (though it may be any of the above selection) – and we won’t complain that our company name can be so closely associated with our products. We have so many products because compressed air is so versatile and useful. We have taken our expertise in compressed air and used it to solve numerous problems for our customers. This is not as easy, as it sounds. First, you need to know how well our compressed air products can perform. Second, you need to know what kind of performance the customer needs to get the job done. For instance when working on a Cabinet Cooler sizing exercise: A customer has a control box that is 24″ tall by 36″ wide by 12″ deep. This box is reaching temperatures that cause the electronics to fail. Generally, this temperature is going to be between 110 degrees Fahrenheit to 130 degrees Fahrenheit. The temperature in the plant was 95 degrees Fahrenheit, when it failed. 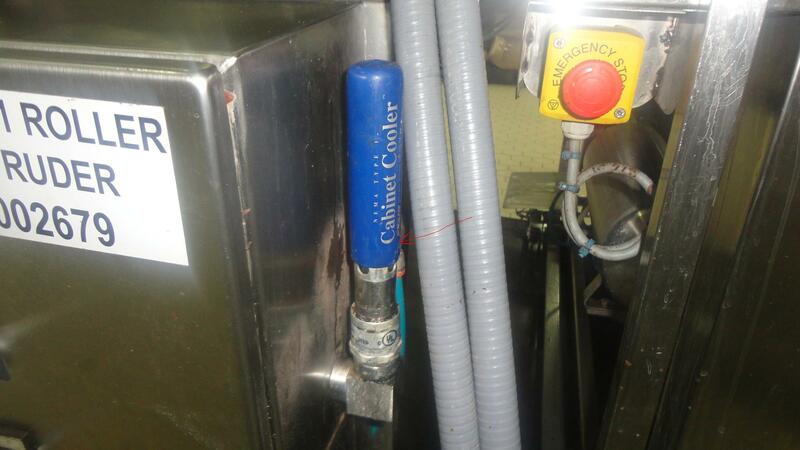 The customer would now like a Cabinet Cooler System to protect his enclosure from future temperature failures. To calculate the heat load of the electronics, first we need to calculate the surface area in square feet. In the example above that would be 22 square feet. Second, we need to calculate the temperature differential between the outside and the inside of the cabinet. The maximum temperature differential is 130 F – 95 F, which is 35 degree differential. 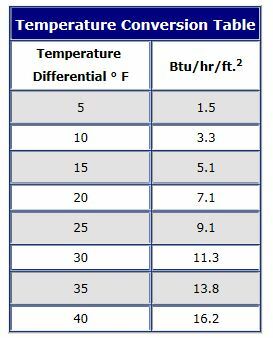 With the temperature differential chart from our website, we can calculate the BTU/HR per square foot. For our example, it would be 13.8 BTU/HR/ft^2. Multiply this by our surface area. Our Cabinet Cooler needs to cool at least 303.6 BTU/HR. Our 4308 Cabinet Cooler System would be a good cabinet cooler for this enclosure. It can cool 550 BTU/Hr. It is rated for a NEMA 12 enclosure to prevent dust and oil from entering the cabinet. To help the customer, you have to first ask the right questions. Most of these questions are listed on the Cabinet Cooler Sizing Guide on our website. What is the internal air temperature in the cabinet? What is the ambient air temperature? Are their any fans in the cabinet? What is the NEMA rating for the Cabinet? Sometimes it is best to speak with an Application Engineer to know for sure you have your bases covered.